Originating from England over 200 years ago, the Parson Russell Terrier is a hunting breed that is loved by many. Most historians believe that these dogs were mixed with a variety of different terriers before it became its own distinct breed. What most people don’t know about them is that these dogs were actually the original Jack Russell Terrier back in the 18th century. It wasn’t until 1999 that the Parson Russell Terrier was differentiated from other terriers and given the name they now have today. Spunky yet courageous, the Parson Russell Terrier has a bold personality that matches their high energy levels. These dogs are known to be quite feisty and are always looking for some sort of entertainment to keep them preoccupied. With that being said, these dogs will become bored very easily if they are not given enough activities or exercise on a daily basis. This can develop into unfavorable behavioral issues if unaddressed for a long period of time. While in the home, the Parson Russell Terrier is playful and loving towards their owners, and work great for a family with children. 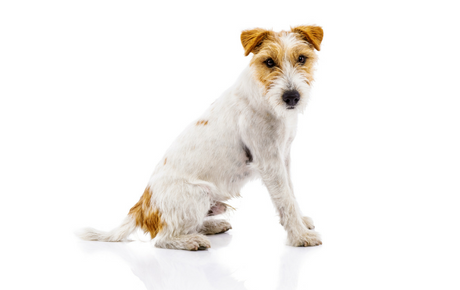 Just like all Terriers, the Parson Russell Terrier can be a difficult breed to train. That is because these dogs tend to have a mind of their own, and will only participate in activities that truly interest them. That’s why it’s important to keep the dog training practices both short and engaging while they are still young. Provide your pup with incentives or positive reinforcement to encourage good behavior. Lastly, make sure to socialize your dog with different people, places, and experiences so he learns the necessary skills to become a well-behaved companion later on life. Vigorous exercise on a daily basis is highly recommended to satisfy the Parson Russell Terrier’s high energy levels. A quick romp around the block or a single game of tug-of-war will not be enough for this active breed. Try changing up their daily walks with hikes, agility coursing, or flyball to avoid them from becoming bored. The average lifespan of the Parson Russell Terrier is between 13 to 15 years. Today the Parson Russell Terrier is ranked as the 109th most popular dog breed in the United States by the American Kennel Club. When choosing your dog’s food, make sure to look for products that contain all-natural ingredients free of any preservatives, fillers, or byproducts. These ingredients can be very harmful to your dog’s health and cause serious damage later on in life. 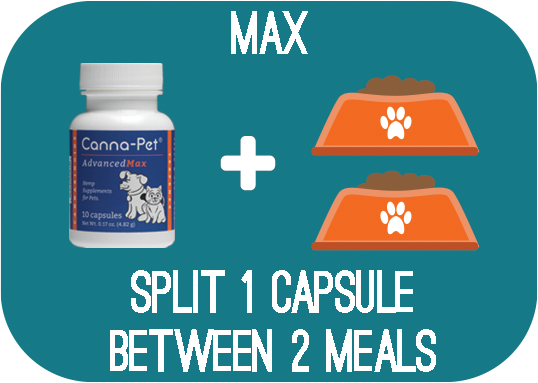 Generally speaking, the Parson Russell Terrier should consume between 1 ¼ to 1 ¾ cups of high-quality food a day, split into two equal meals. The wiry double coat of the Parson Russell Terrier is fairly easy to maintain. Weekly brushing is recommended to rid their coat of any loose hair or dirt. Aside from regular dog grooming, bath your terrier only when necessary. Their ears, eyes, and nose should also be checked on a regular basis for any signs of infection or redness. Lastly, be sure to brush your dog’s teeth weekly and trim his nails whenever needed to avoid breakage or cracking. Are Parson Russell Terriers Good With Kids? The Parson Russell Terrier works best in a household with older children. This breed tends to be snappy or impatient with a needy or rambunctious child, so make sure they are at least 6 years of age in order to have a safe and positive environment. Patellar Luxation: Patellar Luxation in dogs occurs when the kneecap becomes dislocated from its normal positioning. When this happens, the dog may experience pain, lameness, and even arthritis. Lens Luxation: This occurs when the lens becomes displaced in the eye. Corrective surgery may be recommended in severe cases. Cataracts: Canine cataracts are another eye condition that commonly affects this breed. This occurs when the lens of the turns opaque or fogged over, which hinders the dog’s vision until they have lost all sight.